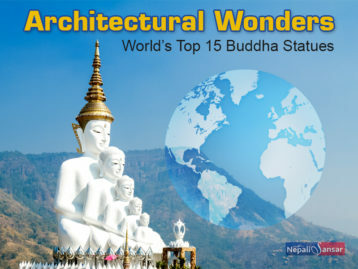 The team will next submit its claim of the international record, along with a video evidence, to Guinness. 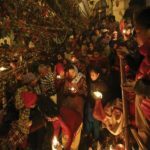 Nepal is gearing up to set another world record and this time, with a strong motive of environmental safety through control of plastic usage. 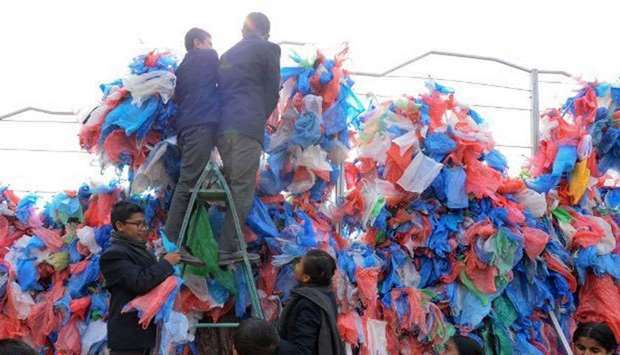 In such a move, dozens of volunteers from Nepal are presenting to the world the largest sculpture of plastic bags they made in an on open ground in Kathmandu‘s city center. With around 10,000 plastic bags collected from the Kathmandu area, the volunteers prepared a map of the Dead Sea to raise awareness on how the harmful plastic waste are polluting the world’s oceans. Themed as “One Dead Sea is enough for us” to set a new international record, this record was made with the colorful used plastic bags tied to a 65-feet-long and 16-feet-tall metal grid, all together shaped into the Dead Sea. 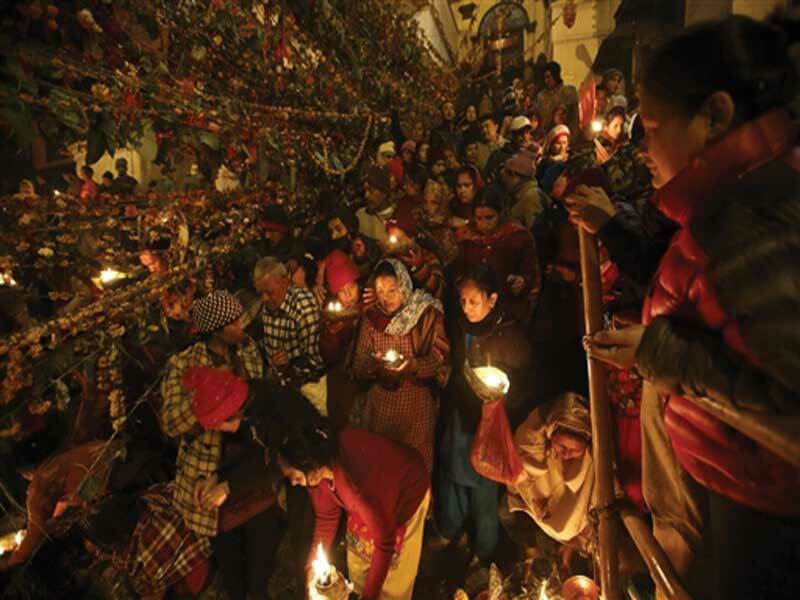 “We decided to tie plastic bags and make a sculpture of the Dead Sea to spread awareness over the world to minimize waste of plastic,” Surgeon BC of Stem Foundation Nepal, the organizer of the event. As per the research findings, around 2-5% of plastics wind up in the oceans, where it further breaks down into tiny particles affecting the marine life. “We hope this effort will help to keep seas clean and not let them become another dead sea,” adds BC. 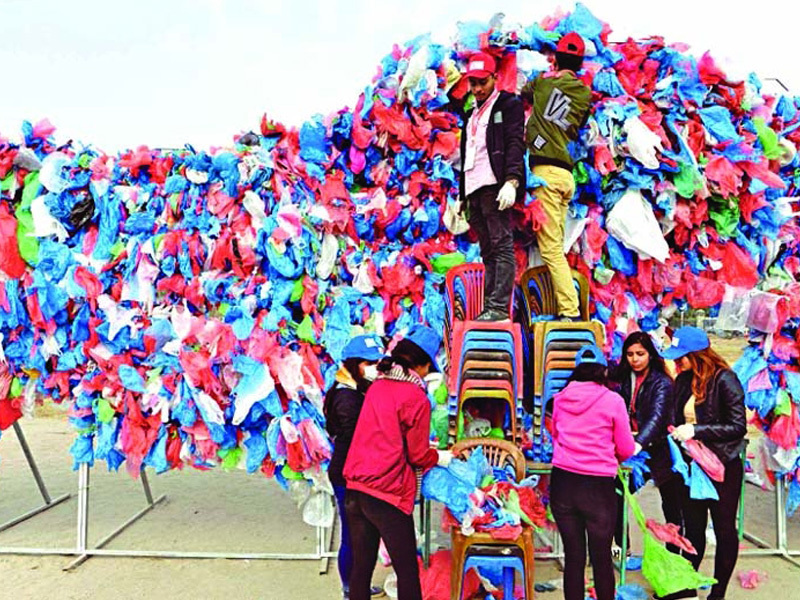 The new creation is a result of 150 volunteers’ hard work that lasted for months in collecting plastic bags from school and other public areas. “I had heard the news that plastic was found inside a dead whale, so I felt I should join this initiative to spread awareness around the world and in my country,” says a 20-year-old environment student Prakriti Pandey, one of the participants. 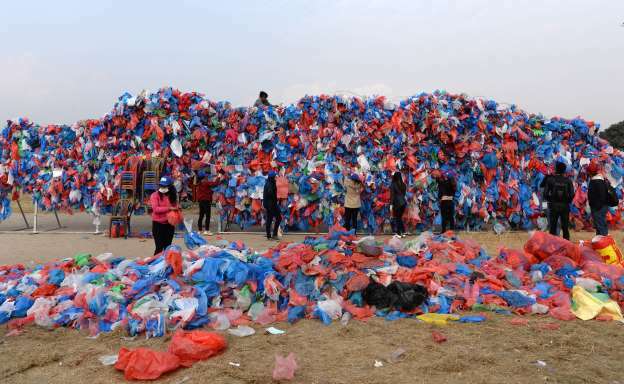 According to the Guinness World Records, the last such record for the world’s largest sculpture of plastic bags was set in April 2012 by over 200 Singaporean volunteers who presented 68,000 plastic bags in the form of an octopus. 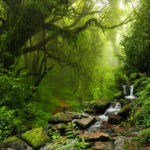 Hope the collective efforts will reach the global community and raise needed awareness on ways to curb plastic production and usage, currently at more than 400 million tons per year. World First Pollution-Free Hydrogen Train Rolled Out!